The Farnborough International Airshow (FIA) is to go back to its roots and allow public access to its exhibition halls to promote and inspire the next generation of pilots, engineers and innovators, ceasing to host a public weekend as it focuses on its five day trade event. This enhances the Airshow’s valuable role as an inspirational event which encourages talented young people attracted to aerospace, defence and space to focus on developing skills needed to enter rewarding careers in these industries. Engaging the next generation with the right skills and qualifications is vital to securing the long-term success of organisations that make a valuable contribution to national prosperity. Gareth Rogers, CEO of Farnborough International said: “The Farnborough International Airshow is a unique event. Allowing the public to see more of the people, products and processes that underpin the global aerospace, defence and space industries will help engage and inspire a new generation. The Farnborough International Airshow is one of the world’s most important aerospace trade events. In 2018, the biennial show hosted more than 1,500 exhibitors and welcomed 80,000 visitors representing 112 countries. There will be an air display on each day of the airshow, showcasing the latest commercial and military aircraft. 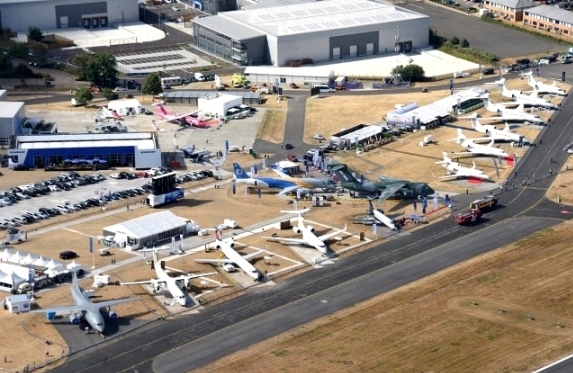 Opening on Monday 20th July 2020 and running until Friday 24th July, the Farnborough International Airshow is a strategic opportunity for organisations to demonstrate innovation; engage with customers; announce deals and new contracts; and take part in conference programmes featuring world-class speakers.